Remember when I bought this Minky on sale at JoAnn's? Well I used that to make what I am calling Minky Initial Blanket. 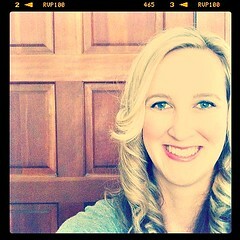 I got the idea from my bff Erin. 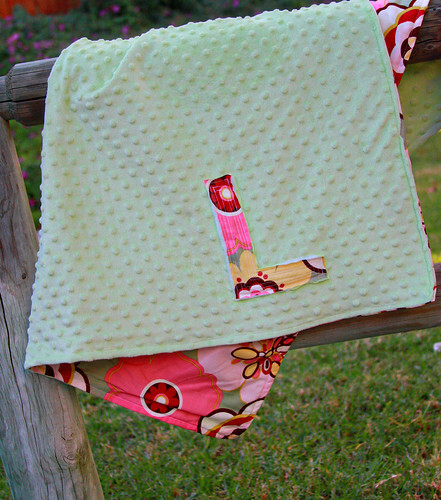 To make the initials I just cut out the letter in minky fabric, batting, & the cotton print. 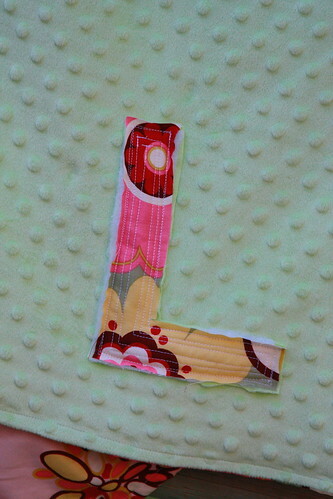 I layered them and then quilted the letter. 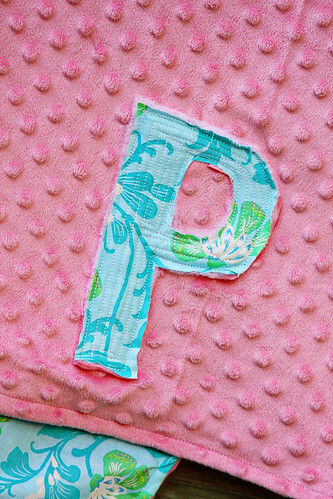 Once that was done I attached the letter where I wanted it on the blanket and sewed around the letter. 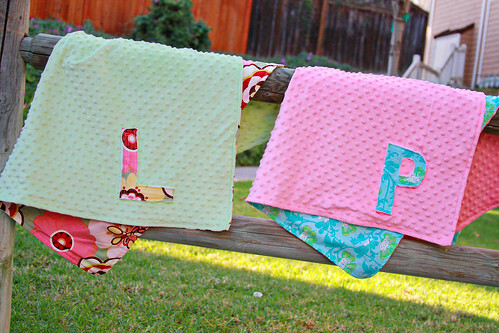 The more you wash this blanket the more the letter will get ragged. One of these blankets is for me and the other one is for my good friend, Sara. Well I am pretty sure I am done sewing blankets for awhile. I whipped out a bunch for me and a couple of my friends who are also having girls. I really need to start on the quilt but I keep changing my mind on the pattern. Hopefully I will stick with one soon. These are really cute ! 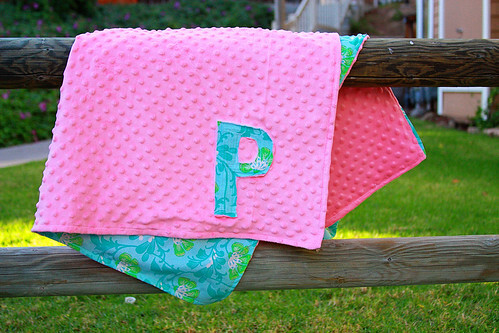 What a great way to personalize an already adorable gift! What a great blanket! 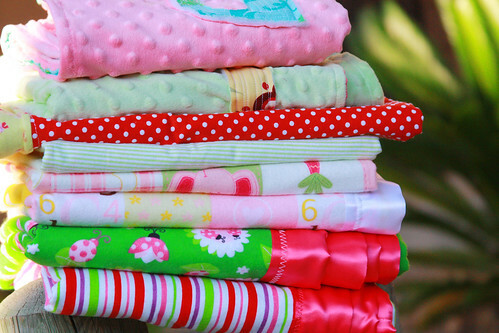 Do you place batting in between the minky and the cotton fabric? My BFF is expecting her second daughter at Christmas and I would like to give her a few handmade gifts for the baby and the blankets you are showing would be perfect! And thoughts and tips would be appreciated! Yours turned out darling. Grahm loves his so much and it's my favorite blanket for him - so soft and the perfect size. PunkiePie - we didn't put any batting in between the cotton & minky. This makes the blanket nice and thin but pretty warm because of the minky. I am loving the color! I know these are so soft too! thanks for the inspiration and for sharing! Holy cow, that's a lot of blankets. They're cute and so soft I'm sure. Very Cute! do you have a tutorial?